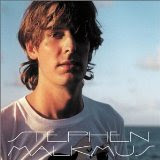 The self-titled debut album by Stephen Malkmus , lead singer of recently reunited Pavement, may have one man’s name and one man’s face on the cover, but the band who recorded the album with Malkmus went on to tour with him as Stephen Malkmus and the Jicks, and fans consider this that band’s first album. From minute one the technical musicianship, complex production and instrumentation put The Jicks in a different category than Pavement. Retaining Malkmus’s trademark lo-fi and occasionally dissonant guitar licks in places, the use of synthesiser sounds, a variety of rhythm guitar styles and crystal clear bass defined a sound that characterise The Jicks as a band in their own right. The most striking thing about the album is the lyrical content, rich in stories set in all kinds of romantic settings, such as 19th century Imperial India or Ancient Greek islands, or interesting characters, like Turkish pirates, an Alaska fisherman, and most bizarre of all, actor Yul Brynner. The joy is in the poetic nature of the scenarios, as the stories rarely resolve, and are more like detailed and poetic reflections of people in places, be they modern or during minor historical events. The lyrics flirt with morals, but abandon them, leaving you to write your own conclusions. 'Jenny & The Ess Dog ', perhaps the album’s peak, focuses on a strained relationship between a college student and her older boyfriend, in parts told through the eyes of their dog, Trey, who is the only living creature who can witness them alone together. Well-produced arrangements see guitars pitted against synthesiser, vocals, or more unorthodox instruments like steel drums or xylophone, while installing out of place instrumental or vocal samples in a rhythmic way to add character to an already charismatic set of songs. Stephen’s voice is weedy, and never strong or confident, and he tries to hit notes that are too low to be heard or too high for him to sing. But his voice fits well atop the overall kookiness of the music. In some cases another instrument will play the melody line along with him, whether this is to reinforce his voice, or just to underline the melody. Another notable feature is the appearance of ‘mini-songs’ after several of the tracks. A mini-song is about five to ten seconds long and has the same instruments from the track playing an independent little section, treating the listener to a little pace-changing tune between full length numbers. Malkmus displays his lyrical genius and poetic depths here in ways he never did with Pavement; this album is the flourishing of an artist held back by the limitations of his environment, suddenly unleashed with full studio and musicians who would do what he told them. While it doesn’t have that awkward college radio magic that made Pavement the cult legends they are, it is instead digestible, beautiful, and glowing with a sorcery of its own.